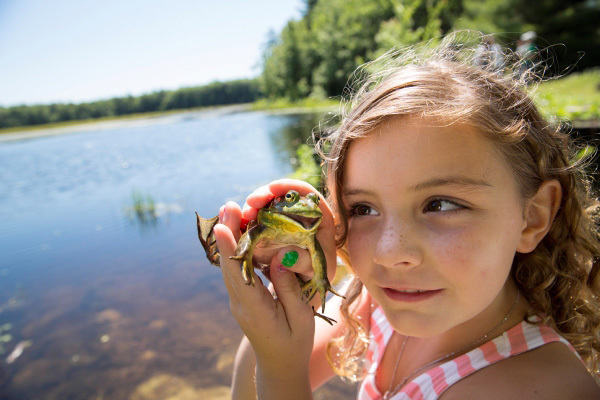 In the suburbs of Portland, Maine, residents of Cumberland and North Yarmouth use Knight's Pond and Blueberry Hill for outdoor recreation year-round. In winter, people flock to the property for cross-country skiing, snowshoeing, skating, snowmobiling, and ice fishing. In warmer months the forested trails are ideal for hiking or mountain biking before enjoying a picnic on the pond's shore. Sharp-eyed visitors can spot beavers, turtles, frogs, and many bird species. For years the landowner welcomed the community to his property, but with his passing, the site went up for sale-raising the possibility that a new owner might restrict access to this treasured open space. The Trust for Public Land secured an agreement to hold the property, and worked with the Chebeague and Cumberland Land Trust and the Royal River Conservation Trust to purchase the land and protect it permanently in 2015. Knight's Pond and Blueberry Hill is a beautiful parcel of land crossing the borders of the towns of Cumberland and North Yarmouth, Maine. Several organizations are working to raise funds to conserve this beautiful area.